Qualification: Masters degree in Psychology/ Sociology/ Social Work from a recognised institution. Qualification: i). B.Sc. MLT (three years course) from a recognised institution/ university. ii). Computer knowledge. Qualification: Degree in Radiography from a recognised institute. Or HSC or equivalent with Diploma in Radiography with one year experience as Radiographic Technician in a recognised Hospital. Or HSC or equivalent with Certificate in Radiological Assistant course with two years experience as Radiographic Technician in a recognised Hospital. Qualification: Bachelor degree in Physiotherapy. Qualification: i). Bachelors degree in Pharmacy from a recognised institution/ university or equivalent. ii). Registered as Pharmacist under the Pharmacist Act, 1948. 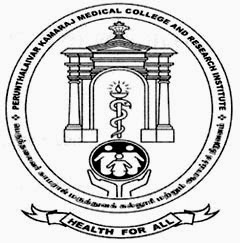 How to Apply: Candidates can apply online and take printout of the fill in online application and send it along with all relevant documents to “The Director, Indira Gandhi Medical College & Research Institute, Vazhudavur Road, Kathirkamam, Puducherry-605009”.